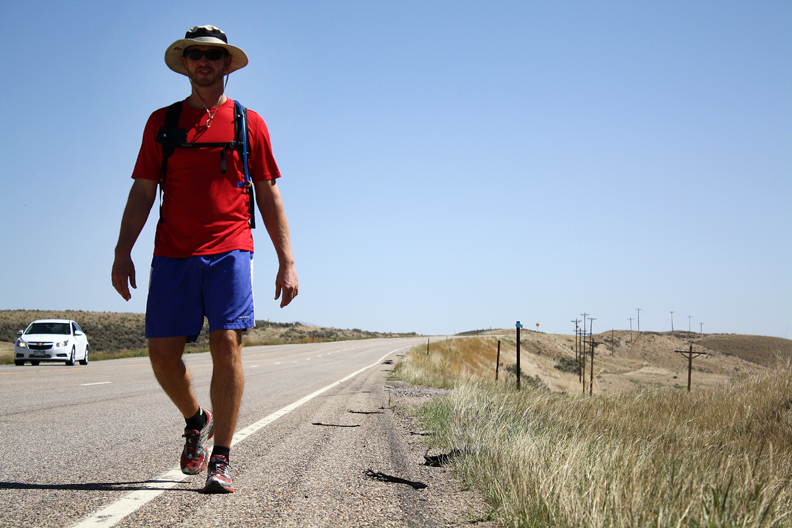 Barrett Keene, a PhD student at Cornell University walking across the country to raise awareness for orphaned and abandoned children, stopped in Craig for 3 days on his journey to San Francisco. Keene's route will take him west through Moffat County to Dinosaur and on toward Salt Lake City. Barrett Keene, a PhD student at Cornell University, is walking 3,475 miles from Miami to San Francisco to help raise awareness about the struggles of nearly 145 million orphaned and abandoned children around the world. As an education student and educator himself, Keene said he was fortunate to serve children as a teacher and through his Go Walk America challenge. His relationship with Christ motivated him to serve those who otherwise wouldn’t be able to take care of their own needs, especially children. Donations will directly benefit orphaned and abandoned children in places like Uganda and Haiti by providing school uniforms, a necessity that would otherwise keeps children in these places from accessing education. Keene said he averages about 17 miles walking per day and is relying on churches along his route for a place to stay each night. There are a number of ways to get involved with Go Walk America. The 350,000 Mile Challenge allows those who would like to be involved log their miles walking, running, biking or swimming and have friends and family sponsor your miles. To donate directly to Keene’s cause, The Global Orphan Project, Inc, you can visit his website at http://www.gowalkamerica.org. If you’d like to get in contact with Barrett, he can be reached via email at gowalkamerica@gmail.com.